In order not to lose his funds, the beginner should follow a chosen strategy and should not to change it at every moment of market change. As an example, we can look at popular traders with high income earned in the result of long and persistent carrying out of transactions according to a worked out scheme. All the beginners on the currency and securities market expect quick and serious earnings; however, such expectations are not the case. If we do not take into account a small percentage of transactions that went off exceptionally well due to luck, one must continuously work hard in forex trading. And also, it is stupid and dangerous to think of it as a casino. Beginners quickly lose money and interest to such a way of making money because of banal ignorance of rules and regulations, which make the basis of the financial market. However, if we make efforts and go through training, which includes studying planning system and risk management, then we will have a chance to have a regular income. After a few first successful steps, the beginner falls into euphoria, when he is not able to assess the situation realistically. For instance, after the trader had three profitable operations, he thinks now that he can increase the volume of transactions and work relying on his intuition. It is a universal deception since even the most successful persons in this area are afraid to risk for nothing and use mathematical schemes continuously. The best approach to each new position is thinking that it is the first, and that your further success in this difficult business depends on it. A person losing his mind because of first successful operations poses the biggest danger in forex trading. In such situations, the beginner trades using all of his funds that he has on the account, which, almost in 99% of cases, leads to bankruptcy. 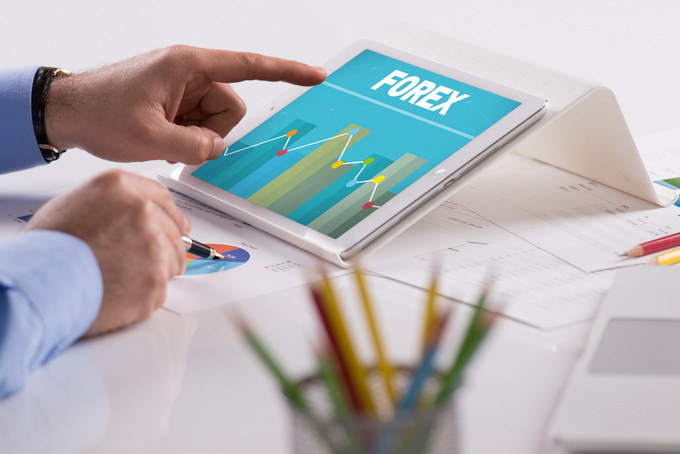 The most reasonable behavior for obtaining experience at forex trading is carrying out transactions with a small amount until the trading system shows stable results. In order not to lose his funds, the beginner should follow a chosen strategy and should not to change it at every moment of market change. As an example, we can look at popular traders with high income earned in the result of long and persistent carrying out of transactions according to a worked out scheme. Why inventing something new if there is a behavior strategy that will surely lead to a positive balance? One of the trader's rules says the following: "Stick to the worked out scheme in any situation". And what strategy is the most profitable? Specialists can't recommend this or another strategy as the most simple and profitable since it will be a blatant lie. Each person is unique, and, therefore, similar strategies in different hands may lead to different results. For the beginner, the optimal solution for this problem will be choosing a simple behavior scheme with the following studying of more complex algorithms. Such an approach will allow to experience personally all the advantages of this or another scheme, and also check if it is suitable for him. For instance, an emotional person will not be able to work using a "patient" scheme because of his character. Also, the beginner should be careful choosing a broker and never borrow any money. Successful traders unanimously insist that it is necessary to register all the details regarding transactions in a special notebook. Such notes should include the reasons of opening a position and its result. That way, it guarantees illustrative information for further studying of personal mistakes. All those who made mistakes in the past can make them again if they don't understand their real causes, and also, don't consider them in future trading. Here are three components that will help get good results: cold calculation, discipline, and continuous self-education. Before the trader begins to work he must go through the basics of capital and risk management, as well as through various types of analysis (fundamental, technical, news). Based on knowledge obtained from the authors of books, each one will work out his own strategy, which suits his personal qualities. Working with large positions, and, moreover, using "inspiration" is a sure way to a financial collapse. Trading is a niche for those who is ready to give up emotions while working and stay concentrated for long periods of time. Any mistake in this area can lead to monetary losses, so it is necessary to keep an eye on every detail. If you have doubts for every little thing and get discouraged because of each loss, then this business is not for you. The first step to make for each beginning trader is testing a worked out strategy using a demo account. One can create and optimize a trading system with the help of virtual money not risking his personal capital. Besides, demo accounts serve as another filter that helps screen people that are not fit for this business. In experts' opinion, only half of beginners that open training accounts begin trading on real accounts.